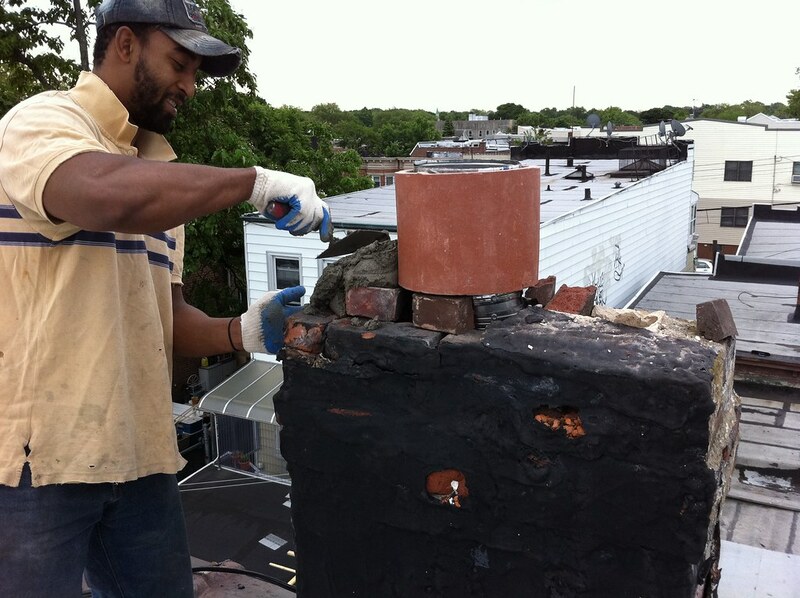 B&P Chimney came back on Saturday am to finish the job: repair the holes, place the cap on the chimney, and cement the crown. all and all, a quick 1.5 hours work for three men. 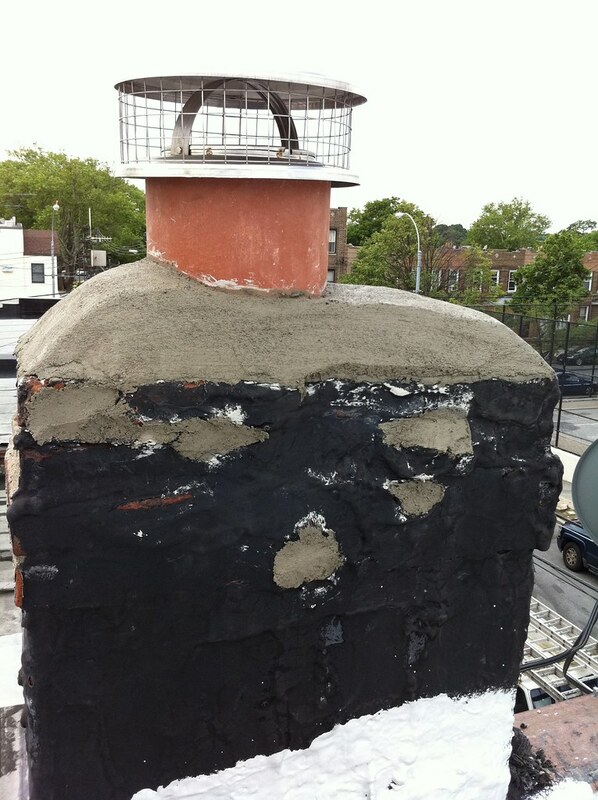 The installation of it involved furring strips and tar-like adhesive. fortunately for us, most of the old work was removed when the 24" panel drop ceiling was installed. 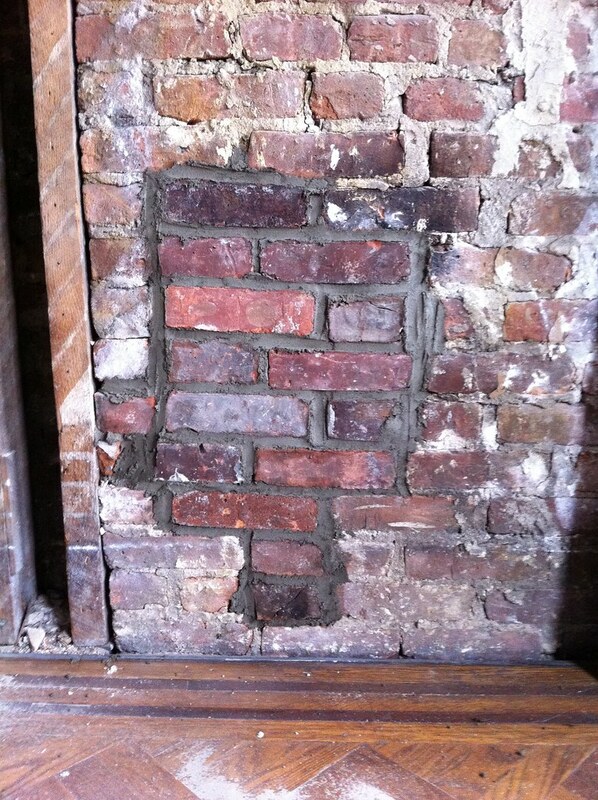 There were a couple of partial courses of the tile along the perimeter of the room only. 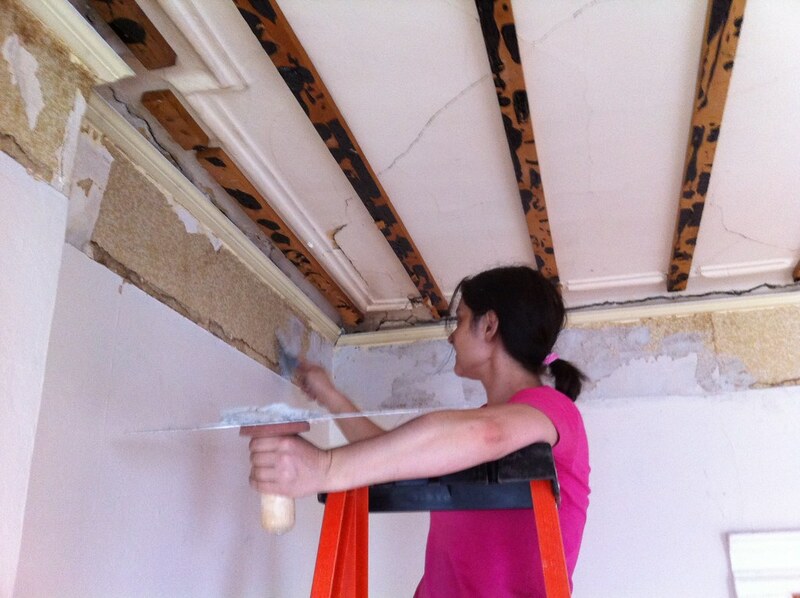 But, the nails remained, and needed to be removed for drywall to go up. 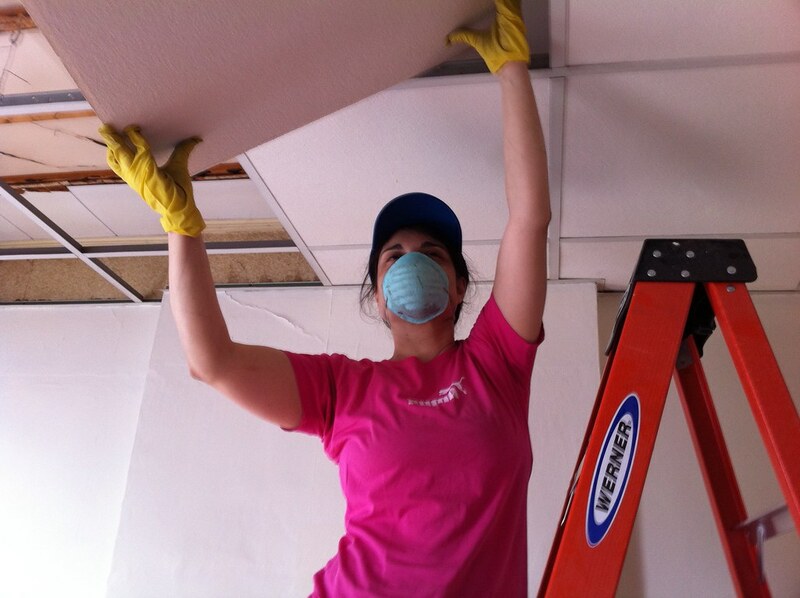 Polly works on filling the nail holes left from the removal of the drop ceiling. Note the furring strips on the ceiling--making it really easy to cover the ceiling with drywall. updates, progress, and family time!